Available on White Vinyl printed in 100 line screen. 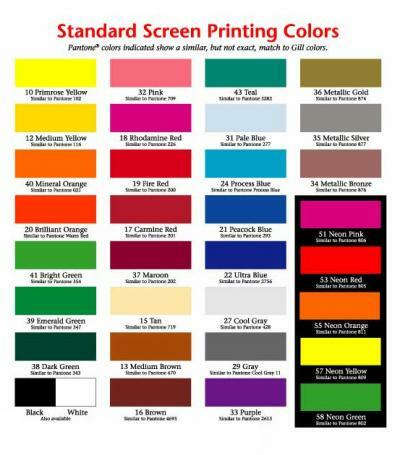 Fine type, thin lines and critical solid colors should be printed as an additional color. A color key proof is provided for review before printing. Material - White or yellow removable Zip-Strip vinyl. White is used unless otherwise specified. Use of one neon color is not recommended due to insufficient contrast. For best readability use a neon color against a dark background. Please add $145.00 for Special shapes or round corners on sizes through 55 square inches or when either dimension is less than 1"